Pleasure is biologically desirable and good for physical and mental health. In The Pursuit of Pleasure, Lionel Tiger explores this aspect of human nature by focusing on the origins and forms of pleasure. Medical science has perfected a host of often astonishingly impressive methods for preventing, alleviating, or recovering from pain. Its opposite, pleasure, has not had such a well-funded and fully justified constituency. In fact, those committed to the understanding and pursuit of pleasure, are rarely accorded respect and a sense of significance. 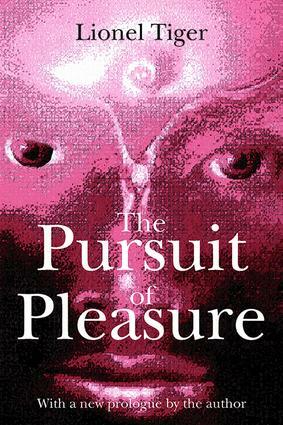 People have objected to the notion of pleasure for a variety of reasons. The most complex derive from religious convictions that the most morally admirable human life is marked by abstemiousness, suffering, even martyrdom. There is also a corresponding fear that people may pursue pleasure too avidly and with too strong a sense of entitlement, and the world's work will not get done. But just as there have been suspicions of the dangers of pleasure, there have also been its supporters who assert its vital and joyful centrality to human experience. The Pursuit of Pleasure favors an agnostic approach borrowed from natural science. In lively, witty, and eminently readable prose, Tiger identifies major forms of pleasure and explores their variations, now and in the past. Pleasure, says Tiger, is not a luxury but an evolutionary entitlement that deserves to be taken seriously. As we acknowledge our need for enjoyment, we understand the need to establish balance in our lives-our need for the pursuit of pleasure. Where Is the State of Pleasuria?